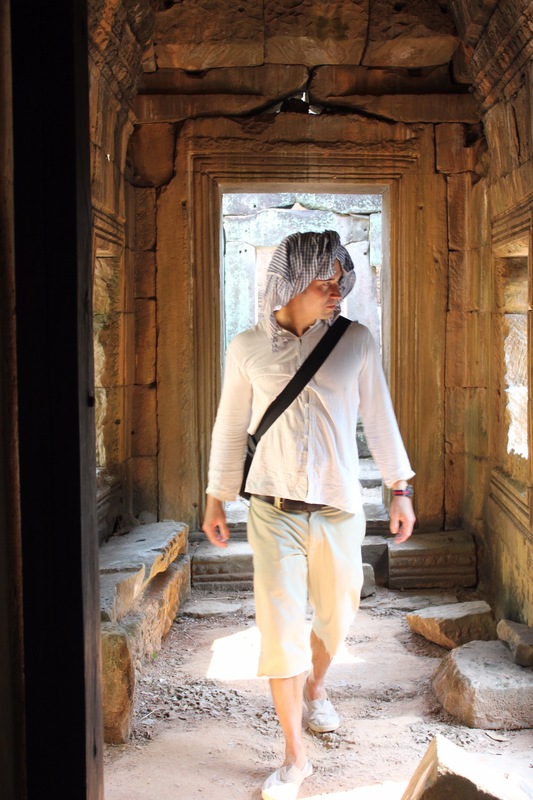 Yesterday, we explored the King’s palace complex in Angkor. Our guide stopped us in the forest, picked up a stone, and showed it to us. It turned out to be a pottery shard. Suddenly, we saw them everywhere – pieces of cookware, fine China, pots, bowls, cups, littering the ground. It almost makes me want to go back to school, get a Ph.D. in archaeology, apply for some grants, and return to help excavate and catalogue.